Introducing the Anastasia Seen & Be Seen Palette which will be available this May. 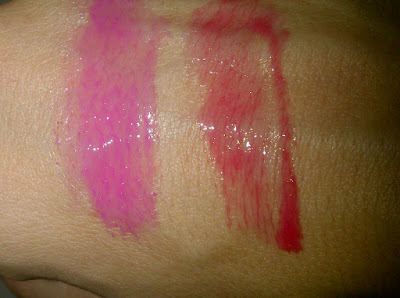 • Two new HydraFull Gloss colors in Heiress and Plastic. These limited edition colors were created specifically for the theme of “Make It Happen” and are not available anywhere except in the See and Be Seen Kit. Anastasia’s Hydrafull Gloss contains lip tint to maintain longer lasting color while maximizing lip hydration and fullness.
. • The golden hues of the ILLUMIN8 Shadow duo in On Set. ILLUMIN8 Eye Shadow Duos are designed to illuminate, firm, and smooth the appearance of skin while also soothing, softening and hydrating. The See and Be Seen kit will retail for $44 (with $80 value) when it arrives at Sephora and Anastasia.net this May and is a great opportunity to try – at a discount – the eye shadow duo and tinted brow gel. I think my favorite part of the set is the eyeshadow duo .The soft pink and golden hues of the ILLUMIN8 Shadow duo in On Set. ILLUMIN8 Eye Shadow Duos are designed to illuminate, firm, and smooth the appearance of skin while also soothing, softening and hydrating. The color has no fall out and my both colors are gorgeous and full of shimmer. It's hard for me to find a double eyeshadow palette where I enjoy both the colors, but these two work well together. One is a softer bronze color while the other is a glowing gold. Perfect for Summer. 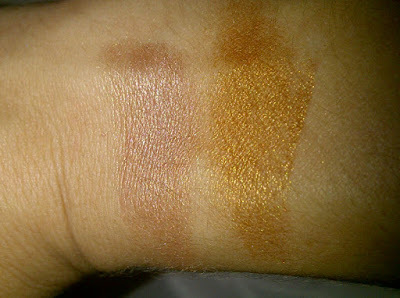 Both colors come housed in a little compact with mirror and eyeshadow applicator. Sorry for the messy swatch, but Anastasia Lip Gloss applicators have never been a favorite of mine because they are a plastic applicator that makes it hard to get a good swipe of the formula. The colors are gorgeous though and are my favorite glosses from Anastasia's collection. And remember I have every single Anastasia product out there. The Pink color entitled, "Plastic" is a soft barbie pink with a cream finish. The color really pops on your lips. The second color is "Heiress" a coral reddish pink that really stands out when you wear it. Both colors almost look neon in the container on on the applicator, but the swatches seem to look a bit less intense. I love that one quick swift brush on your lips will last you a good amount of time and you don't have to keep applying to get the color you need. Anastasia glosses are never sticky or tacky, they are among some of my favorite lip products other then the plastic applicator. The final product in the Kit is the Tinted Brow Gel, something I don't usually get around to using because I have extremely sparse eyebrows, but I have come to find out, this is actually FOR people like me or have little to no eyebrow hair. It's a gel cream that thickens your brows, creating the image of fuller thicker eyebrows. The Seen & Be Seen Kit will be available in stores starting May for $44 ($80 value) It will be available for purchase on Anastasia's website and Sephora. Will you purchase the kit?